I am so happy with how this whole party came together, and I hope some of you were inspired and interested in using some aspects of it! Here are the printables I created for free for you all to use, enjoy and don’t forget to tag me when you use them so I can come see what you created! They were so fun to create and they add a fun detail to the party! I’m sharing both my food titles as well as blank labels (just the character images) so you can use your photo editing software to add your own text and food titles! And of course the invitations… You can either write your own back or I’m also sharing my PSD for anyone who has photoshop and wants to use my file! I’ve used some of your image for my daughter’s birthday. Thanks a lot. I’m so glad you enjoyed using my printables! It’s such a fun party to throw for our girls this year! Thank you so much for sharing your printables. It is super generous of you and I am most grateful. They will be wonderful to use for my daughters upcoming birthday party. Many thanks! you are so welcome! Good luck and have a FUN party! Thank you so much for sharing these printables! It will make my daughter’s 6th birthday party a hit! One question thought about the printing on the back of the invitation, do I have to have photoshop to edit it? Do you have it available in another form to be edited and printed? Any editing program will work just fine or hand writing. you just need to be able to open the image and create a text layer over the top, any program that does that will work. 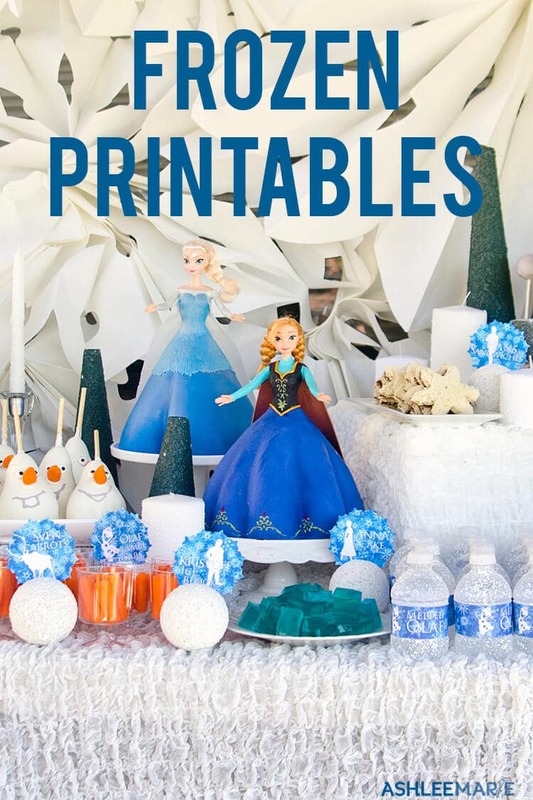 I found your printables and I think they’re amazing!! I’m throwing a Frozen party on Valentine’s day (here in Spain is also another special day called “Carnaval”, it’s more or less like your halloween) and I’m TOTALLY gonna use them!! Thank you so much for making all of this and your blogg!! you are so welcome! I hope your valentines party went great, and have a blast with Carnaval! Love the printables for the water bottles…what do I print them to so they can stick on the water bottles? May your generosity in sharing your printables come back to you ten-fold! Thank you so much for these unique printables! I will be using them for my daughter’s 6th birthday party. 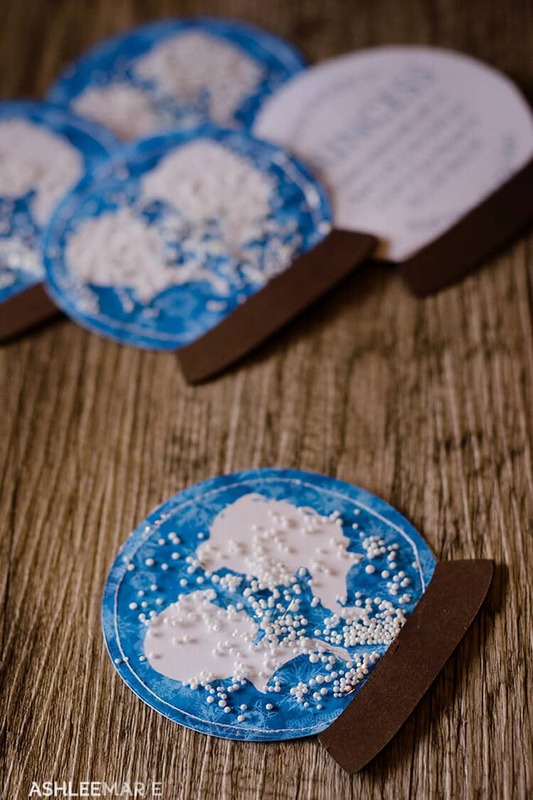 Instead of styrofoam bits for snow, I placed glitter glue on the center of the snowflakes 🙂 I also placed your website address on the bottom of the base 🙂 How can I send you a picture? Many thanks again. awwwww thank you! I’d love to see a picture, so feel free to email me! I bet the snowflakes looked great with glitter! I love, love, love your ideas! So smart and creative! We are coming to the Frozen experience a little late and are just having a girls Frozen party! By chance, can you repost the links to the printables? I get a page cannot be displayed error. Thanks so much and so glad I found your blog! I double checked and all the printable links are working just fine, try a different browser maybe? chrome or firefox both worked great for me.